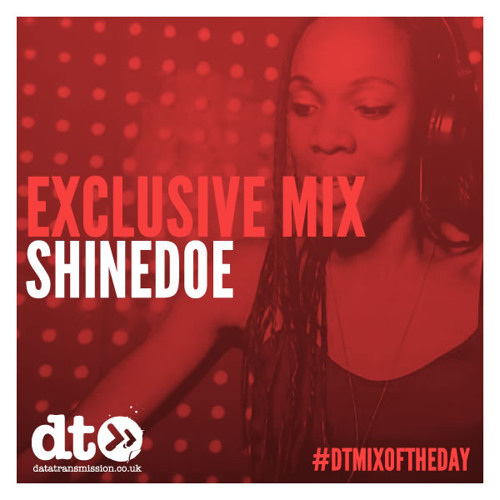 Shinedoe’s Intacto label has long been held up as one of the best such labels in the tech-house domain, so it’s only natural that we're big fans of the non-compromising Amsterdam native and her imprint here at Data Transmission. Hailing from Amsterdam, music has always been a priority in Shinedoe's life as anyone who has been fortunate enough to witness her rocking the booth can attest. Thus it is with great excitement that we welcome her to to our mix of the day series as she shifts through the gears to deliver a fresh set of cuts for us to wrap our ears around. Mixed in celebration of her return to her label for their 49th release with the 'Waves' EP, her hour long set of selections have had us thawing out those boogying muscles as we dance around the office and now you can join in the fun. Throwing together a expertly concocted blend of sounds, genres and warm grooves with the occasional surprise you can check out her exclusive mix for us below. @lukeagius88: Which track is this ?